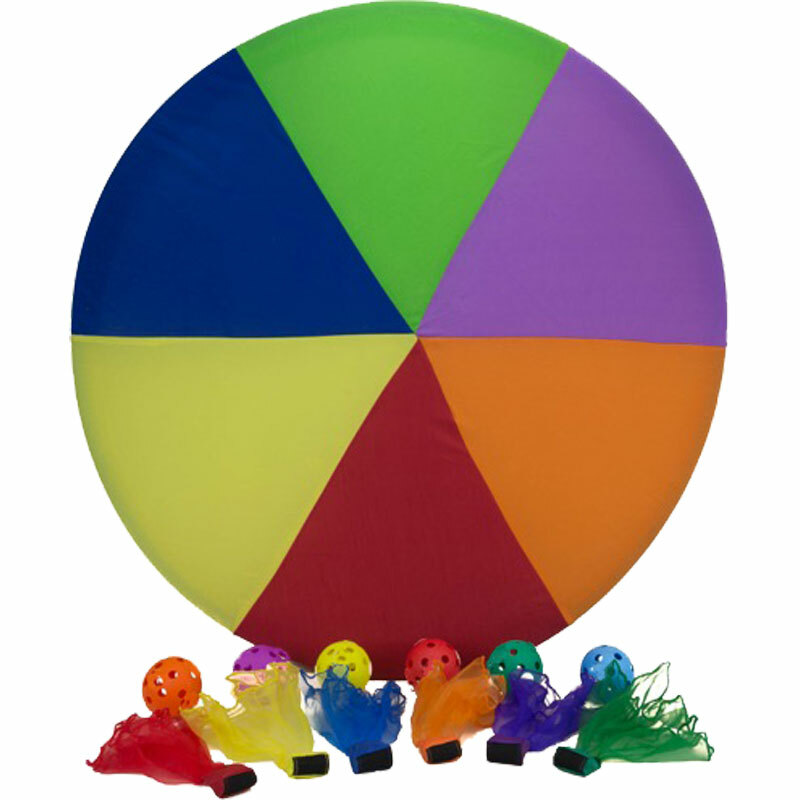 The PLAYM8 ® 90cm Colour Target Pack is a large colourful target divided into 6 equal sections. A fun way to develop throwing and aiming skills. Each target comes with 6 x Hook and Loop Throwing scarves and 6 x Zoft Hook and Loop balls. Upon impact to the target the items will stick to the cloth surface but are also easy to remove. Difficulty levels can be adjusted simple by changing the distance between the target and participant.